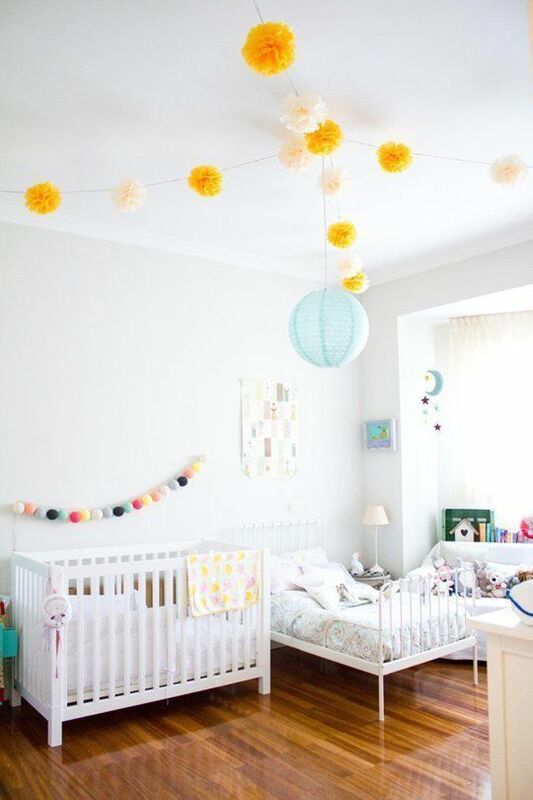 During our month devoted to new babies and mamas we featured some amazing nurseries from around the web – Graphic Nurseries, Minimal Nurseries, and our favorite DIYs and hacks for them as well! We had a similar question from a few of you, which was “what if they can’t have their own room?” so we wanted to add one more post to the series, shared rooms! 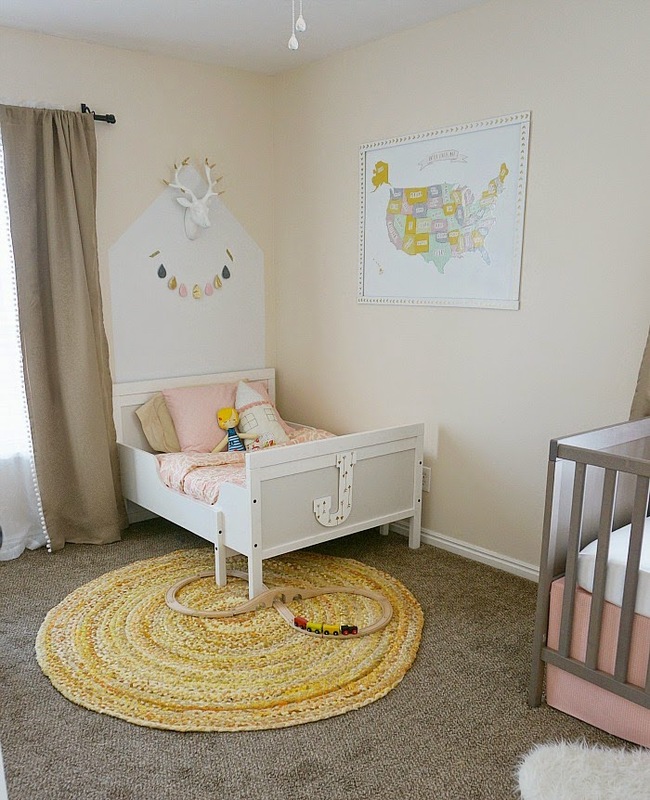 Rooms for your new baby and their brother(s) or sister(s)! 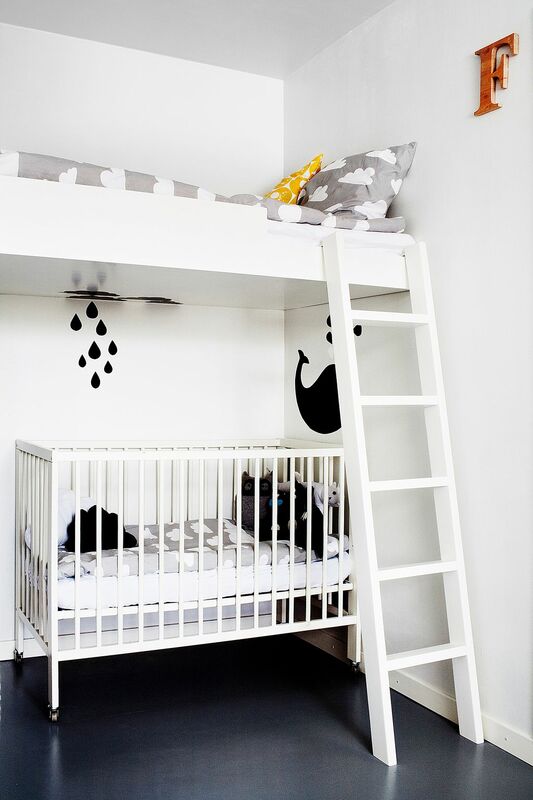 Melissa Esplin’s kids room. Brit + Co.
We love how each space embraces both ages, that there is plenty to do for any age and can easily transform as they get older! Got any favorite shared spaces to add? Comment below! nununu sale! bogo 50% target swim!